Duly impressed by the scores of vehicles she’d seen sporting “Choose Civility” car magnets, my new neighbor recently asked, “What, exactly, is Choose Civility?” As I happily explained it to her, I was thrilled to learn that she already knew that Howard County (Md.) Library System (HCLS) was somehow involved (see figure 1). Her real estate agent had informed her she could obtain one of the ubiquitous magnets at any HCLS branch. Choose Civility is a community-wide initiative that invites everyone in Howard County to choose respect, empathy, and consideration at every opportunity when interacting with others—at work and in their personal lives. Why focus on civility? Because in an increasingly fragmented world where relationships tend to be conducted through social media, civility connects and unites us on a personal level. Because civility is crucial to the very fabric of our community’s quality of life—especially for our youth, who represent the next generation of leaders. Although often chosen unconsciously, our words and actions command tremendous power. Choose Civility intends to encourage the conscious choice of civility, which results in lowered stress levels, improved health, and increased happiness. Visible reminders include 65,000 Choose Civility car magnets and window clings displayed on vehicles in the Baltimore/Washington, D.C. region and beyond. In addition, Choose Civility banners decorate major thoroughfares during Choose Civility Week, and all Howard County Public School System (HCPSS) football fields and gymnasiums. of all ages in conversations on the importance of civility in the twenty-first century. Unfortunately, civility—or rather, incivility—has grabbed national headlines much more regularly in recent years. Incidents from the realms of politics, sports, and entertainment occurred almost simultaneously in September 2009. Congressman Joe Wilson’s “You lie!” outburst during President Obama’s health care speech displayed an unmatched level of uncivil behavior in a public setting. In the world of professional tennis, Serena Williams’ tirade with a U.S. Open referee scored an unprecedented low in terms of reprehensible behavior on the court, surpassing even John McEnroe’s outbursts in the 1980s. Soon to follow, singer Kanye West’s interruption of Taylor Swift’s acceptance speech at the MTV Video Music Awards demonstrated previously unthinkable rudeness. More recently, reports of inconceivable twenty-first-century bullying among schoolchildren—exacerbated by the Internet’s anonymity—shock beyond belief. A final example, the January 2011 shootings in Tuscon that killed six people and injured thirteen others, including U.S. Representative Gabrielle Giffords, have raised grave concerns regarding incendiary political rhetoric. All of these illustrations point to a growing need for a renewed focus on civility, a topic that presents an opportunity for public libraries to play a key role in ongoing discourse. While the University of Arizona has established the National Institute for Civil Discourse to “promote compromise among opposing political parties and views,”1 Howard County’s Choose Civility campaign advances civility at the local level. Even before the word civility surfaced with some regularity in the press, those introduced to Choose Civility four years ago were quite taken with the concept, frequently expressing, “This should be a national movement!” The initiative has flourished far beyond our expectations, surprising everyone with its popularity and success. Now one hundred Alliance Partners strong, Choose Civility continues to gain momentum. Choose Civility car magnets have been spotted in California, Maine, North Dakota, Florida, and even in British Columbia. Why would public libraries want to lead Choose Civility? Early on, the Choose Civility founding partners recognized that one organization would need to take the lead, as is typically the case in any successful venture. HCLS volunteered. It makes perfect sense for a public library to be lead organization for two reasons. The first is that our customer base encompasses the entire community—people of all ages, backgrounds, and walks of life—including all Choose Civility partners, who include government entities, nonprofits, businesses, and private citizens. The second is that the initiative fits squarely within our mission of delivering high-quality public education for all ages. Choose Civility aligns with all three pillars of our curriculum (see figure 2).2 Under the first pillar, Self-Directed Education, our collection includes civility-related materials for all ages in a wide variety of genres and formats. Pillar two, Research Assistance and Instruction, includes HCLS instructors and research specialists assisting our customers with research on civility and teaching classes on the subject for every age group. The partnership itself falls under pillar three, Instructive and Enlightening Experiences, which includes our signature initiatives, partnerships, and the community and cultural center concepts that bring people together. The Choose Civility Symposium (details to follow) falls under this pillar. A final point, Choose Civility fits within our mission because civility is the ultimate forum for free speech and the open exchange of ideas. As lead organization, HCLS benefits at several levels. In addition to the satisfaction of continuing to contribute to the enhancement of our community’s quality of life, we are viewed by all as not only the Choose Civility catalyst, but also the initiative’s epicenter—and center stage is right where we want to be! In addition, Choose Civility is also a great way to strengthen existing partnerships and build new ones. We were delighted when Washington County (Md.) Free Library joined in, working with a multitude of partners to begin a Choose Civility chapter in its community,3 and it is a tremendous honor that Pima County (Ariz.) Public Library has expressed a desire to form a chapter. Other library systems have also indicated interest, including the nearly one hundred webinar attendees from twenty-five states and the District of Columbia who participated in the Texas Library Association’s December 2010 webinar, “The Road to Civility: Implementing a Choose Civility Initiative.”4 It was our pleasure to work on this webinar idea with Christine McNew, youth services consultant to the Texas State Library and Archives Commission. I had met McNew following a Libraries Foster Civic Engagement Membership Initiative Group meeting in June 2010, where I presented an overview of Choose Civility.5 Public libraries are poised to be highly visible concerning all hot topics. Choose Civility presents a prime opportunity to be viewed as such in the civility arena. Perhaps you, too, will consider joining in! Some people ask why civility rather than saying something along the lines of, “Be nice”? An analysis of the meaning of “civility” serves to explain. While its definition includes “Be nice,” the word’s beauty lies in its far broader definition. Civility also includes recognizing the diversity of cultural norms, which can differ, such as with which hand to hold one’s fork at the dinner table, whether it’s appropriate to greet someone with a handshake, or the proper distance to stand from another when conversing. Most importantly, civility incorporates the universal principles of empathy, respect, and consideration of others. Our staff members found Forni’s presentation compelling and relevant on both the professional and personal levels. It was the staff’s enthusiasm that triggered a meeting with community leaders to envision something bigger—something that would involve ongoing visibility and an annual commitment. We developed a vision, “Howard County chooses to be a model of civility,” and a mission, “We choose respect, consideration, empathy, and tolerance as our fundamental values, enhancing the community’s quality of life.” A committee reviewed Forni’s twenty-five rules, distilling them to fifteen “principles,” including “respect others’ opinions,” “acknowledge others,” “take responsibility,” “assert yourself,” “accept and give praise,” “apologize earnestly,” and “assume the best” (modified slightly from Forni’s “Think the Best”). Simultaneously, we developed a brand—a look and feel unique to Choose Civility, complete with colors, fonts, and a logo, all set forth for our Alliance Partners in a style guide that potential chapters in other jurisdictions may easily replicate. While inspired by Forni’s book, Choose Civility includes many civility-themed books, including fiction and nonfiction titles for children, teens, and adults. Some people ask, “Why in Howard County? Did something happen?” At first, this question took us by surprise, as no incident had prompted the initiative. 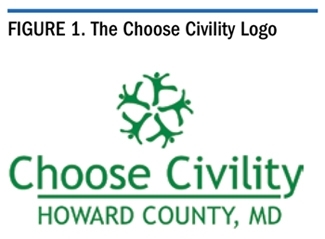 Choose Civility was nothing more than some visionaries who were confident that the campaign would renew our community’s commitment to treat each other with respect and dignity, enhancing Howard County’s quality of life. Others asked why the initiative had struck such a chord in the community. Choose Civility is a way to celebrate that we are a community that embraces civility, bringing visibility to what is already a key component of our quality of life. Choose Civility categories of involvement are as follows. With the exception of sponsors, no cost is associated with participation. Lead Organization. HCLS provides leadership and direction for the initiative, as well as in-kind support for project and communications management, and fundraising. Board of Advisors. The Board of Advisors comprises fifteen to twenty business and community leaders who guide the strategic, visionary, and goal-oriented aspects of the initiative. This group meets twice each year. We were tremendously honored when U.S. Congressman Elijah Cummings agreed to be our honorary chair. Committees. Four steering committees guide, develop, and support the initiative in the areas of partnerships, sponsorship development, event and activities planning, and marketing. Alliance Partners. Critical to the success of Choose Civility, Alliance Partners include businesses, organizations, government agencies, and individuals who extend the initiative’s reach to build awareness and involvement. Alliance Partners actively promote the initiative. They also incorporate Choose Civility into the culture and programs of heir own organizations. Alliance Partners renew annually, and receive a certificate each year. Alliance Partners total nearly one hundred, with key partners including HCPSS; Howard Community College; Howard County Government; Howard County General Hospital, a Member of Johns Hopkins Medicine; Howard County Tourism; the Howard County Chamber of Commerce; Friends of HCLS; and NASA’s Goddard Space Flight Center. Ambassadors. The Ambassador category includes businesses, organizations, and government agencies that embrace Choose Civility. An Ambassador commits to incorporating the Principles of Civility into the organization in such a way as to direct and transform the behavior of employees, members, stakeholders, customers, and business associates. Advocates. Advocates comprise individuals or organizations who wish to be involved and embrace the goodwill and principles of Choose Civility. Sponsors. Vital to the initiative’s success, sponsors include businesses, organizations, and individuals who contribute financial and/or in-kind support. Donations are solicited for general support—including the purchase of car magnets and window clings—and for specific program components, such as the symposium. Our key sponsors to date include the Friends of HCLS; Howard County General Hospital, Ascend One, Columbia Association, and M&T Bank. Media Sponsors. Critical for building awareness and sustainable support of Choose Civility, media sponsors provide in-kind support. Contributions can be ongoing or specific to an event. Held each October, Choose Civility Week provides a platform to position Choose Civility in the forefront. Choose Civility Week banners—in the signature shade of green made popular by the car magnets — pepper light poles in downtown areas of the county, reminding the community that the week is upon us. During Choose Civility Week, Alliance Partners schedule internal activities and events. At HCLS, for instance, we bolster our civility-themed lineup of classes for children and adults, and post prominent displays in the branches. HCPSS kicks off its annual Civility Poster Contest and involves its students in activities at the elementary, middle-school, and high school levels. Howard Community College does the same with ts college students, and businesses emphasize civility that week among staff and with customers. 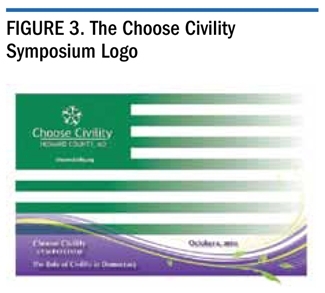 The entire community then comes together for the week’s highlight, the Choose Civility Symposium (see figure 3). Past symposiums have featured keynote speakers, including Forni and former Baltimore Colts defensive lineman Joe Ehrmann, whose remarkable career was captured in the book The Season of Life. Titled “The Role of Civility in Democracy,” last year’s symposium began with opening remarks from Howard County Executive Ken Ulman and Congressman Cummings. More than 300 guests then heard from a panel of civility experts moderated by NPR journalist Korva Coleman. The panel also included Forni; Susan Herbst, University of Connecticut president and author of Rude Democracy: Civility and Incivility in American Politics; William Griffith, professor of philosophy and director of the philosophy and social policy program at George Washington University; and Centennial High School student Sara Calvert, who is also a leader in the HCPSS Student Government Association. Following the panel, Forni led a workshop that focused on the youth perspective of the role of civility in a democratic society. In partnership with HCPSS’s secondary education social studies division and Student Government Association, we heard the voice of young adults as they crafted a Proclamation of Civil Behavior—ideas and principles of civility to guide their lives. Discussion engaged students and adults alike. We were especially pleased with the impressive number of teens who attended. We are currently planning for the 2011 symposium. While Choose Civility Week generates abundant publicity, we also use a number of marketing tools year-round. “Faces of Civility,” a series of fifteen posters for use in organizations and public spaces, builds awareness of the initiative (see figure 4). Each poster features one of the Principles of Civility with a quote from and photograph of a Howard County leader or citizen representing diverse aspects of the county. The posters can be used individually or as a group. Who is the most civil person you know? Who are more civil, men or women? Where is the farthest from Howard County you have seen a Choose Civility bumper sticker? We keep lively civility conversation going through the use of social media. We’re on Facebook, Twitter, Flickr, and YouTube. Our website includes upcoming events, ongoing activities, and Faces of Civility and HCPSS student posters, available for download. The site also describes the initiative’s structure, lists Alliance Partners, and provides a page for purchasing magnets and window decals. At HCLS, we developed three lists of civility-related books for children, teens, and adults. These are distributed through our branches and are available through both the HCLS and Choose Civility website, downloadable as PDFs. Classes, which HCLS instructors teach at our branches and take into the schools, include Choose Civility classes, such as Kindness Counts for the lower elementary grades. Instructors perform the book Do Unto Otters by Laurie Keller8 (Mr. Rabbit must learn to live next to his new neighbors, who are otters), then engage the children in a discussion on civility. A+ also includes many signature events that incorporate civility. For example, Battle of the Books, an annual academic reading competition for fifth-grade students, includes a civility component: in addition to first, second, and third place, students win awards for best costume, best team name, best team spirit, and most civil. At Howard Community College, we participate in the Friendly Campus promotion each fall as faculty and staff welcome new students, who receive Choose Civility car magnets. We also work with HCC by presenting civility-related seminars taught by faculty members at HCLS branches. HCPSS also focuses on Choose Civility in its curriculum. While supporting student academic success, the initiative also furthers HCPSS’s goal of providing a safe and nurturing environment for its students. In addition to having implemented a Civility Policy9 and Anti-Bullying Policy,10 HCPSS issues a “Civility Tip of the Week” in its weekly e-mail to parents. Civility-themed topics are incorporated into HCPSS staff book clubs, as well as its student book clubs at the elementary, middle-school, and high-school levels. HCPSS’s annual Choose Civility poster contest continues to inspire students to focus on civility. 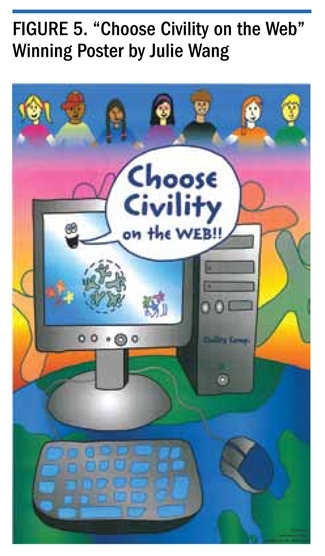 This year’s theme was “Choose Civility on the Web.” Julie Wang, a fifth-grade student from Centennial Elementary School, took first place (see figure 5). HCPSS also weaves Choose Civility into its program through individual schools taking on projects, such as Reservoir High School’s Civility Project two years back where the students produced “Reservoir HS Chooses Civility”11 a video in which students role play their favorite rules from Forni’s Choosing Civility (such as, “be good to your guests”). As a final example, Howard County’s Rotary Clubs joined forces to sponsor Choose Civility banners, which now hang in all HCPSS high school gyms and are displayed at football fields as a reminder for athletes, coaches, and spectators to choose civility at sporting events. The school system is well represented on the Choose Civility Board of Advisors, with key administrators and Board of Education members actively involved throughout the year. Where Did You Get That Car Magnet? Deciding to make it easier for people, we added the website to our design when we placed our next order. Then someone quipped, “Great! We’ll all be civil in Howard County, but when we cross into Baltimore County, we don’t have to be civil anymore!” Responding to this particular feedback, we decided to remove “in.” We also added our logo and shortened the website’s URL. We’re assuming the design is nearly perfect, as we’ve learned of no further feedback other than the indirect compliments from those creating copycat and spoof versions. The magnets continue to be spotted beyond Howard County. Seeing one can be quite effective. To illustrate, a coworker called me from Charleston, South Carolina, while vacationing with her family. Just as parking congestion at the beach began to raise her blood pressure, she spotted a familiar green car magnet, immediately trading her stress for a smile. Some of you may be thinking, “How could we possibly take on something like this with all that we currently do?” The answer? More easily than you might think, because it is mostly repackaging what you already do! 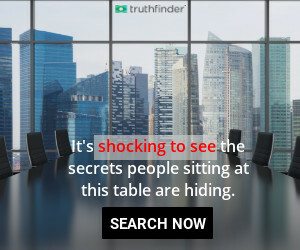 While it is true that Choose Civility takes some additional administrative staff time simply because the partnership is so comprehensive (and what a great thing that is), the initiative does not increase the workload of front-line staff. You already compile booklists. Instead of creating booklists for something else, create some for Choose Civility (even better, save time by building on the ones we’ve developed and posted). You teach classes already, too. Chances are you already teach a series that could be marketed under Choose Civility. It is true that the public relations staff will require some startup time to develop your Choose Civility chapter, and to plan a kickoff inviting your elected officials, civic leaders, and community members. Note that, once established, Alliance Partners will also publicize initiative components. As a shared responsibility, marketing is more manageable and more effective. Similarly, whoever creates and maintains your website will also need to dedicate some time to creating your Choose Civility pages. You may also wish to convene a few meetings initially with an internal Choose Civility committee. It also takes a bit of effort to convene a Choose Civility Board of Advisors meeting, but we hold those only twice a year, and the annual commitment to renew as an Alliance Partner requires that someone on staff generate and send the certificates. As to Choose Civility Week and the symposium, again, we would be holding a different event (such as an author event) if it weren’t for the symposium; so here, again, the time invested is simply shifted to this priority. Picture numerous jurisdictions joining forces in this powerful way. Then imagine going to New York—or Dallas, Chicago, or Miami—and noticing a Choose Civility car magnet. With inevitable pride lighting up your face, you get up close and see that it’s Washington County’s—or your county or city! Either way, you take pride, because directly or indirectly, you have played a role in leading the initiative. Why not capitalize on this timely effort that can only improve quality of life in your community? 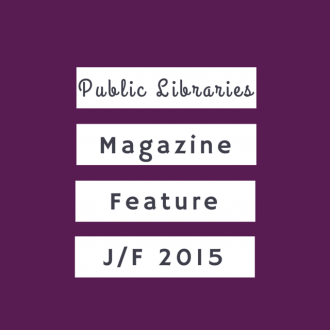 Public libraries can be major players. We can also lead the way. We hope you will consider starting a Choose Civility chapter in your area and that you would like to capitalize on the model we have created. Mary Baykan, director of the Washington County Free Library and I would be delighted to answer any questions you might have. HCLS Director of Public Relations Christie Lassen (or call 410-313-7750) can send you our toolkit, including logo, letterhead, car magnet, and window cling templates for you to tailor and use. M. Amedeo Tumolillo, “University of Arizona Sets Up Civility Institute,” New York Times Feb. 21, 2011, accessed June 21, 2011. Valerie J. Gross. “Transforming Our Image through Words that Work: Perception is Everything,” Public Libraries 48, no. 5 (Sept./Oct. 2009): 24–32. 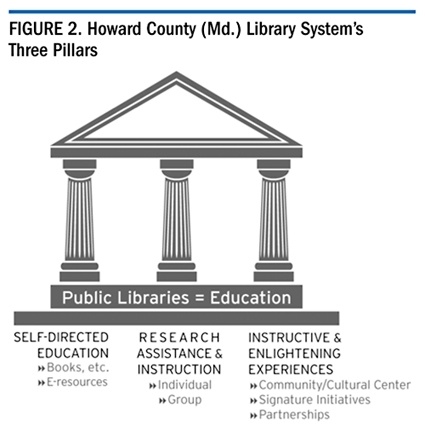 Howard County Library, “Strategic Plan and Master Plan 2010–2015: Public Education for All,” adopted June 16, 2010, accessed June 21, 2011. Texas State Library Webinar, “The Road to Civility: Implementing a Choose Civility Initiative,” Dec. 10, 2010; presenters: HCLS President and CEO Valerie Gross, HCLS Director of Public Relations Christie P. Lassen, and Howard County Board of Education Chair Ellen Flynn Giles. Libraries Foster Civic Engagement Membership Initiative Group Meeting, ALA Annual Conference, Washington, D.C., June 27, 2010, accessed July 27, 2011. P. M. Forni, Choosing Civility: The Twenty-Five Rules of Considerate Conduct (New York: St. Martin’s, 2002). Valerie J. 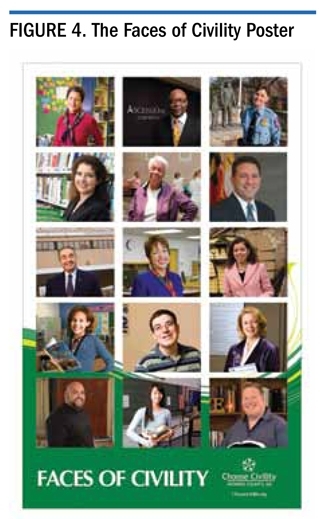 Gross, “A+ Partners in Education: Linking Libraries to Education for a Flourishing Future,” Public Libraries 44, no. 4 (July/Aug. 2005): 217–22. Laurie Keller, Do Unto Otters: A Book about Manners (New York: Henry Holt, 2007). Howard County Public School System, “Board of Education Policy 1000: Civility,” Jan. 11, 2007, accessed June 21, 2011. ———, “Board of Education Policy 1060: Bullying, Cyberbullying, Harassment, or Intimidation,” July 9, 2009, accessed June 21, 2011. ———, Reservoir High School, “Reservoir HS Chooses Civility,” Jan. 27, 2009, accessed June 21, 2011. John Kelly, “Can Kindness Be Mandated? Howard County’s Civility Experiment,” Washington Post, July 28, 2009, accessed June 21, 2011. Dave McMillon, “Group Urges People to Choose Civility,” Herald-Mail, Dec. 14, 2010, accessed June 21, 2011.